This is IE800 DIY KIT for DIY Elites to fully exploit the potentials and push the sound quality to extreme. And we ensure you this kit with identical outlook as the original IE800, and offering comparable or even better sound quality. .
Be afraid of the risk? No problem, choose the Assembling Option and let us make it for you (meaning you get a handy IE800). If you are new to IEM DIY or have concern on the risk, you may look at our IE800 KIT for DIY Beginners which minimize the risk and everybody can make it. How does this IE800 kit sound? It is very much like the original IE800 – we measured and observed 95%+ similarity in the Frequency Response. Mids: Extremely clear and hyper-detailed, but not at all in an aggressive or artificially dissecting way (note the original XWB driver is with a 5dB peak on 6-8 kHz. We do same thing as Sennheiser to suppress it by damping in the front canal). The mids are probably the most natural and refined of all IEMs due to extremely low THD (<0.03%). Very good timbre with voices and acoustic instruments. Vocals in particular have a sublime quality of just „being there“, eerily lifelike and tangible. Dynamics / Soundstage / Separation / Imaging: The Senn‘s super-clear mids convey a feeling of directness and intimacy without much forward projection, but the driver‘s good dynamics make for excellent depth and layering. Owing to their very high resolution, the IE800’s separation is impeccable, with well defined space for instruments and vocalists. Stage width and presence of a center image vary a bit between downward and over-ea. Overall I’d characterize the IE800’s soundstage as neither overly spacious like the IE8’s, nor lacking or closed-in, but above all with a quite extraordinary sense of depth. What’re the sound characters and how shall I pick? Super-bass: 2.5 dB boost at the mid-bass, which is responsible for the body of bass guitars and the punch of kick drums. And the soundstage is also increased to 1.5X. Super-resolution: 2.5dB boost at the low-mid which makes the vocals and lead instruments rich, and makes the overall mix crystal clear. Another effect is the imaging getting improved. How can you trust this IE800 kit? What’re in this DIY KIT? What is the difference to the Beginner Kit? The KIT include everything you need to build and fine tune an IE800 IEM with identical outlook. The 70 degree curved front cover, the original Sennheiser design. It is 2 stages with 2.5mm and 3.5mm jacks, with shinning Ceramic Ring and Logo. It minimizes the Stethoscope Effect. It is also ultra soft and durable, the 6N OCC offer the best signal transformation! 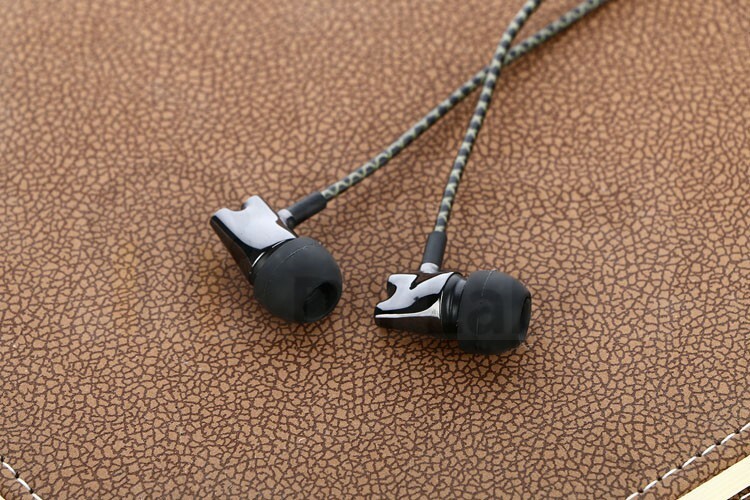 Note it looks not like the original IE800, and the cost is also much higher due to the purity of copper (99.9999%). Comment is unlocked and any genuine feedback is welcome! Received my ie800. They sound great! Excellent customer service and communication. There was an issue with my order on arrival, contacted seller and received a response within 2hrs with advice.